Mute DVD and Blu-ray release date not announced. 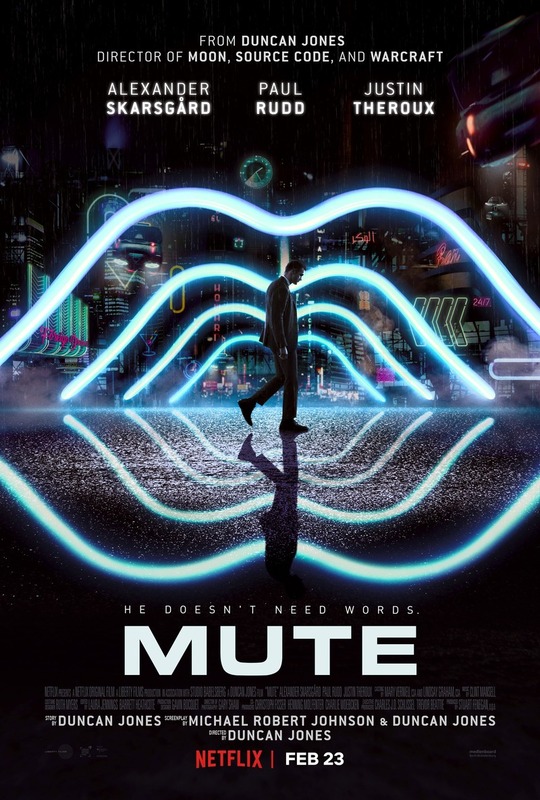 Mute is a science fiction film about a bartender named Leo living in Berlin, Germany forty years into the future. Leo, who is mute, is searching for his missing girlfriend who had suddenly disappeared. In this futuristic thriller, Leo goes underground, challenging Berlin's most dangerous gangsters in an effort to find his lost love. He meets a couple of mysterious surgeons from America that may hold the answer that he seeks. DVDs Release Dates is the best source to find out when does Mute come out on DVD and Blu-ray. Dates do change so check back often as the release approaches.